Clean the prawns and marinate with 1/2 tbsp chilli powder,turmeric powder and salt for 10 minutes. Heat oil in pan add the item under temper.Once the spices splutter add ginger garlic paste and saute well. Add onion, grreen chilli and cook till onions are translucent. Add marinated prawns and cook till the prawns color changed to white. Now add tomato,remaining chilli powder ,add cup of water and bring to boil. Cook till the prawns well done. 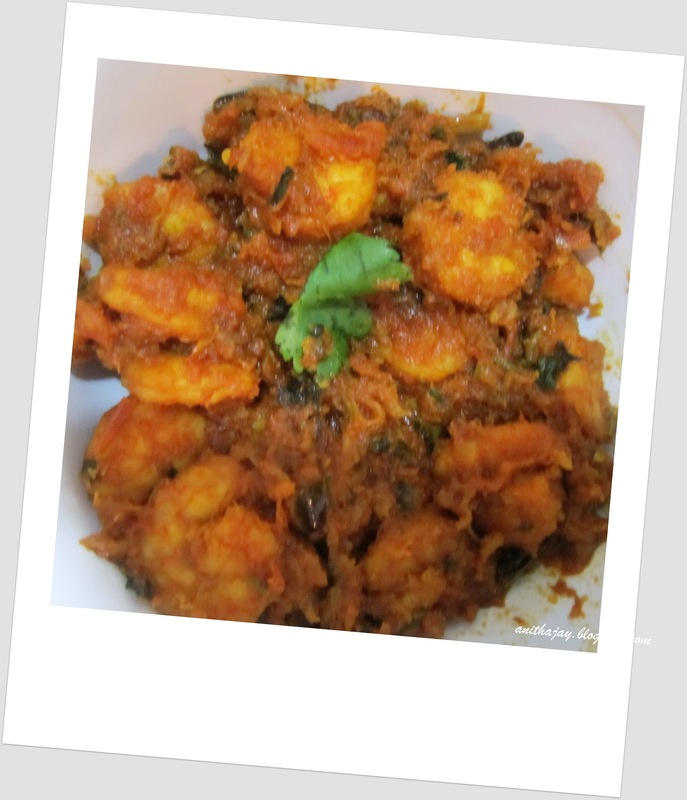 Garnish with coriander leaves and serve hot alone with rice or roti. Coarsely grated fennel seeds enhance the flavor of the curry.